Nigeria’s yearly inflation rate has dropped to 11.61 per cent in May, the National Bureau of Statistics (NBS) said on Wednesday. COICOP is a classification and analysis of individual consumption expenditures incurred by households, non-profit institutions serving households and government according to their purpose. It includes categories such as clothing and footwear, housing, water & electricity. The NBS report comes a month after the central bank governor held interest rates at 14 percent, saying that inflation was still above its single-digit target. The bank said inflation could worsen again with the influx of cash from spending related to Nigeria’s 2018 budget. Nigeria’s President Muhammadu Buhari will sign the 2018 expenditure plan next week, after months of delays, presidency spokesman Femi Adesina told reporters in capital Abuja on Wednesday. 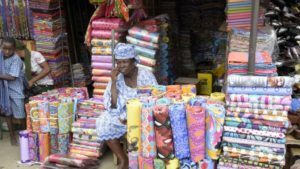 The economy of Africa’s most-populous nation is struggling to recover from a 2016 slump, the worst in 25 years. The 2018 budget is expected to help spur economic growth ahead of elections in February 2019. Higher oil prices have already helped boost Nigeria’s foreign reserves, stabilized the currency, and improved the supply of dollars. Posted by Khalid Al Mouahidi on June 14, 2018. Filed under Business. You can follow any responses to this entry through the RSS 2.0. Both comments and pings are currently closed.